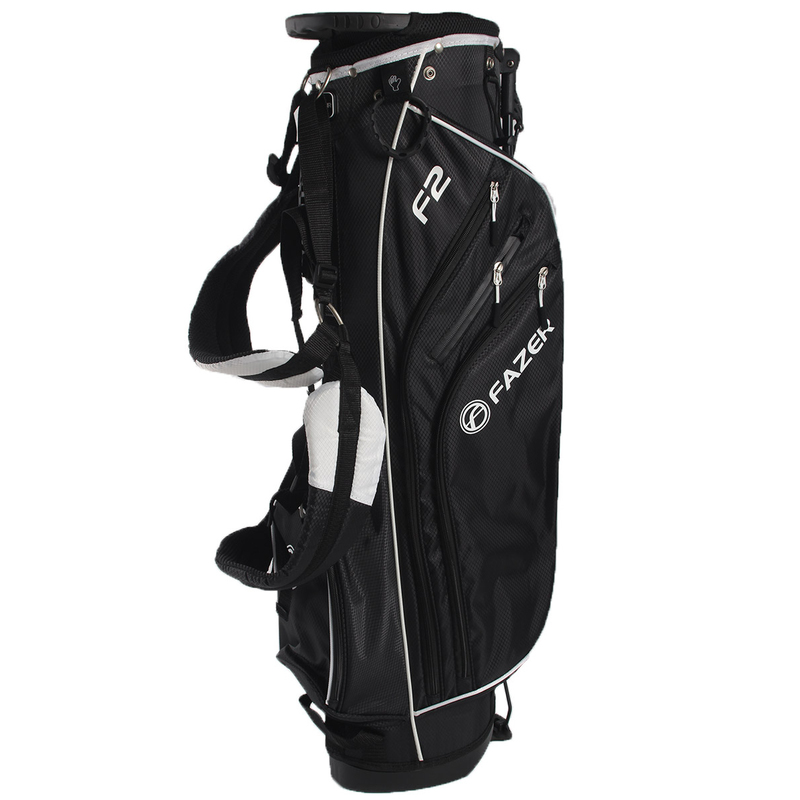 The F2 Mini stand golf bag has been constructed of lightweight dobby nylon materials to increase your endurance, and reduce your overall fatigue when golfing. 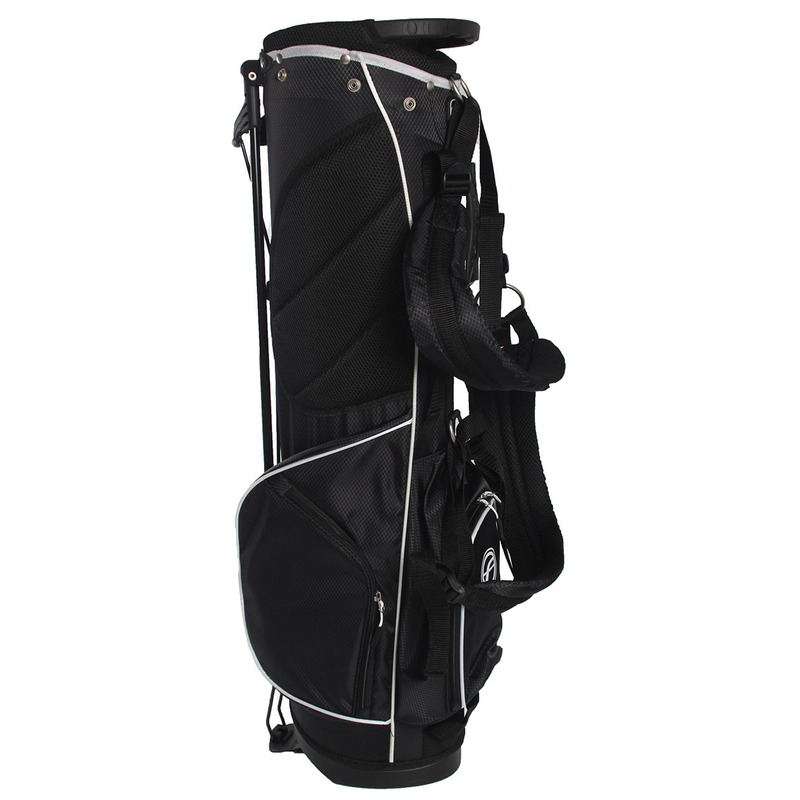 The bag has a conveniently sized 7 inch top, with full length club dividers for better club management, plus a top moulded handle for easy lifting on to your designated mode of transportation. 5 Pockets help provide you with essential storage space, which includes a velour lined, with waterproof zip valuables pocket. Other features such as a towel ring with Velcro glove attachment, along with an umbrella holder, and tee sleeve, all help to assist you around the golf course with ease. 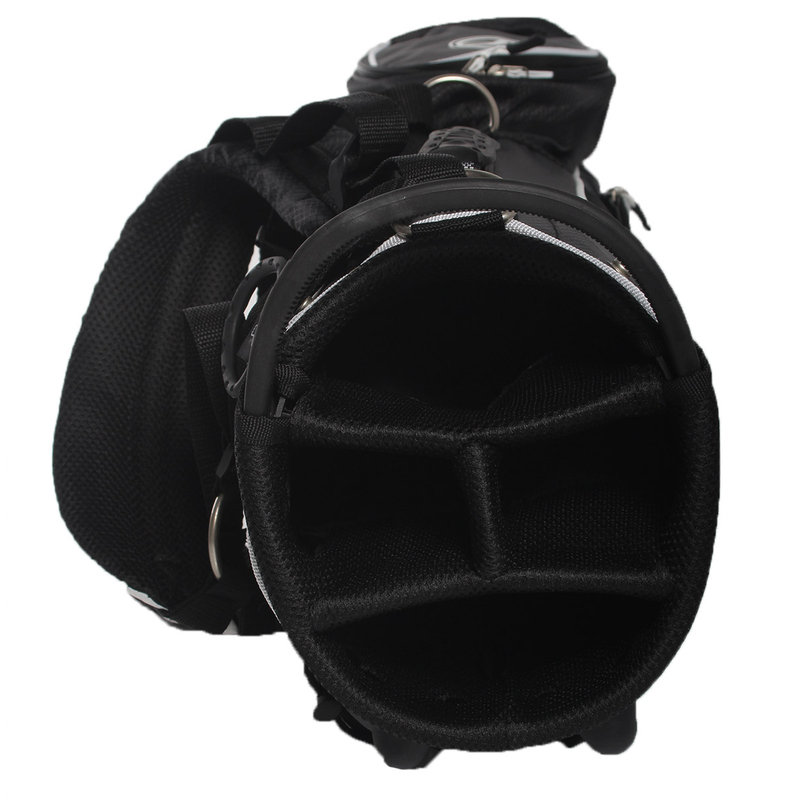 The bag also features padded dual shoulder straps for an evenly distributed carry, with an extra thick padded hip pad for increased comfort as you carry the weight of your gear. This comes with matching rain hood for increased weather protection, and has an automatic stand system, with tempered legs.